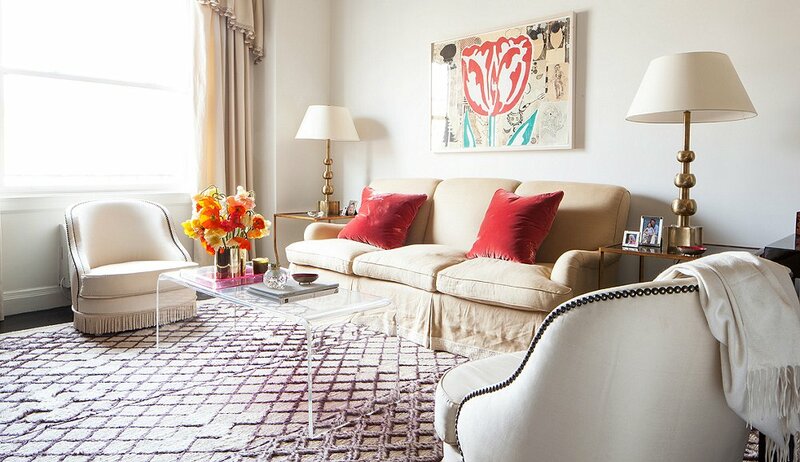 When it comes to choose a rug, there are various things that one needs to consider. The first thing that one takes into consideration is the colour of the rug depending on the space where they want to place it and also the pattern on which they want to place it. Remember, when you choose a rug type or a rug style you have to take the floor type into consideration. This is very important. One can buy carpets and rugs online but when they are choosing rugs it has to be based on the pile and it has to be in contrast with the textures. If you want to use a carpet then going for a flat weave or a carpet pile is a very good idea. These rugs are very thin and they mostly have subtle designs. You can always choose a rug which does not deviate much from the primary colour of the carpet that you are using. This will create a good harmony in between the carpet and the rug. If you have a wall to wall carpet then never go for a wall to wall rug over it. Buy a size smaller than that. Also try to use a rug with a different texture and fibre which will help others to distinguish between the carpets and the rugs. If you have a solid surface at home like a hardwood floor or a laminated floor then try to create a blank slate for the rugs. This is necessity because then only the texture of the rugs can be easily chosen by you. Also as these floors are mostly flat one can choose a rug of any thickness or pile that one can want. There are some rugs which are better at absorbing dampness than other kinds. There is a type of rug called flat weave polypropylene which can easily hold up to the regular damp attacks but they have lower absorbing capacity in comparison to rugs of natural fibres. They can be highly resistant to moulds and they are perfect as a floor covering at kitchens and bathrooms. But if you have laminate flooring then goes for rugs which positively have high friction gel or some latex backing so that it can prevent some accidents like falls and slips. Also jute rugs are very good for laminate floorings but then you will need an underlay for that. This material does not get stains easily and they are also easy to clean. But when your floor is made of tone or woods then one can go for pop coloured and textured rugs as they match well. When you are thinking of the rug colours always remember that if you want an intimate space then go for the rich and deep colours and if you want to make a small space look elaborate then go for light colours. Cool colours are perfect to create a calm space. One can buy some designer rugs online as they are very nice and will increase the aesthetic quotient of the room.